We had an honor to talk with Jose Maria Cano, an amazing Spanish artist who is probably best known for his ongoing series of encaustic paintings, The Wall Street 100. Those who are from Spain, they probably know Jose Maria as one of the founders of Mecano, a famous Spanish Pop band from the 1980s. 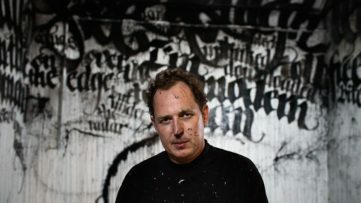 Cano is a recognized contemporary artist whose works have been exhibited worldwide. In the light of the artist’s exhibition at the CAFA Art Museum in Beijing (that will be actually a retrospective exhibition occupying two 2 floors of the museum), we spoke with Jose Maria Cano about his art, influences, style, and many more. It’s not so easy to write about Cano’s art. Sometimes it takes months to complete a single artwork, which tells a lot about the artist’s complex technique. His work is conceptually and aesthetically brilliant; therefore, they leave a viewer with a number of questions: questions about our complex realities – about economy, politics, our private life – about contemporary society in general. By painting one hundred large-scale portraits of some of the most influential people in the world, the artist does not purely represent the well-known faces of these people; but speaks about complex relations between economy and private life, about relations between art and economy, art and politics. His work expresses our complexes realities. So, be sure to read our interview with this amazing artist, while we will continue to follow his work in the future. 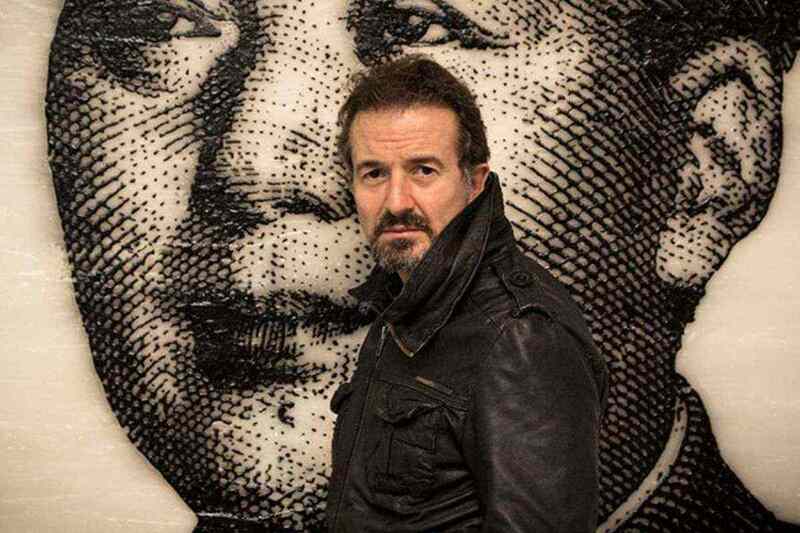 Widewalls: Many of your works deal with the matter of finances, with the world of finance. What is it about finance that inspires you the most? 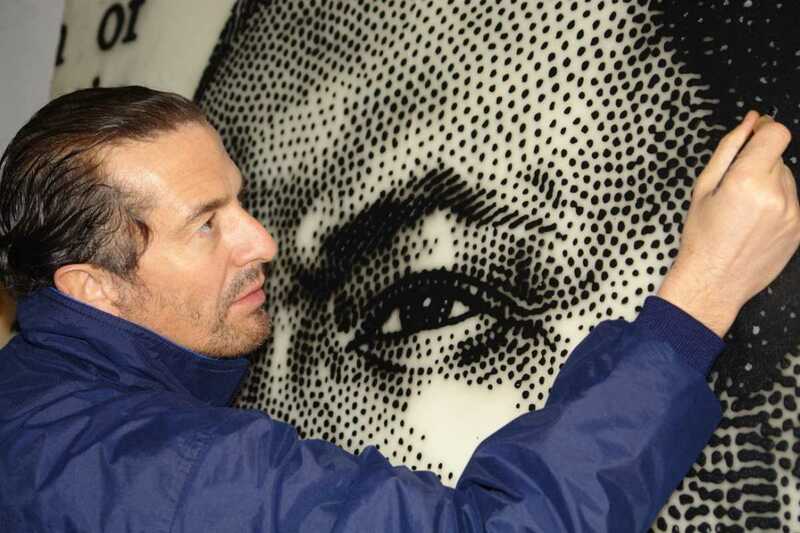 Jose Maria Cano: I started in 2004 to paint my Wall Street 100 series with the portraits of the hedcuts that appeared on the Wall Street Journal. It was a euphemistic representation of the relevant people within the finance and corporate worlds. Long before anyone could imagine the importance, or even the possibility of a financial crisis of the size of the one we have gone through. At that time, the occidental society was in a fairy tale with the world of finance. Sinister characters such as Bernard Madoff, were the gods of an Olympus and will be understood and positive citizens individuals that where seeking a better world. The financial economy only makes sense to serve the real economy; but it should not go front- running the real economy. In the mid-2000s financial economies in developed countries became the primary generator of wealth in itself. As the Western world no longer produced anything and simply imported from Asia, it decided to invent money, since it was not able to generate it or give up their economic standards. When people going to economical difficulties began to claim their money back from the banks the disaster began and we have still not recovered. 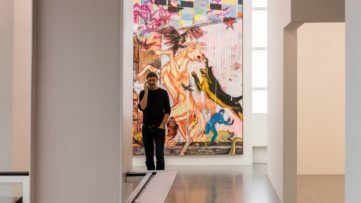 Widewalls: Speaking about finance (and money in general), what is your opinion on the latest developments on the art market? Do you think everything has become about money in contemporary art? Do you have to adjust your art as the market demands? JMC: Contemporary art has become a commodity, a sign of social, cultural and economic prestige. In recent years, it was a great investment because contemporary art as a whole increased in price from season to season. This came to unsustainable levels and largely also reversed with the crisis. Nowadays, there are not many artists who have made the cut. The contemporary art and money relationship is becoming calmer or at least more stable. I consider myself a lucky person because for the last five or six years my professional situation allowed me to work in the technical and creative conditions that my artistic evolution was suggesting. I take all the risks and don’t concentrate in a particular series of work, which is what works commercially for painters. I just paint what I feel like painting. Widewalls: Many of your works seem to question the problem of violence, but violence understood as structural violence, not physical or direct? By artistically representing violence (for example, economic inequality), do you believe an artist should have some ethical or political statement behind his/her work? JMC: I think the artist should work for expression. Meaning that what an artist is curious and worried about will be a natural motive for his work. The arts become meaningful socially when covering gaps that don’t interest to politics because they are in a more essential level. 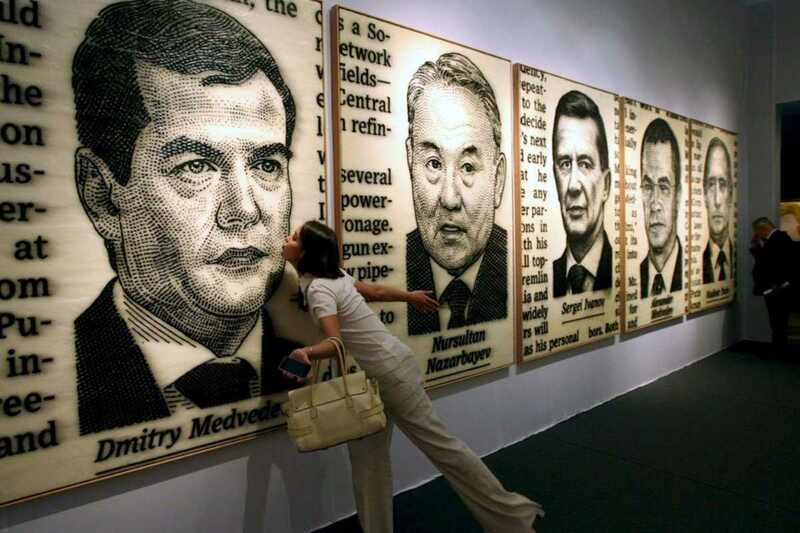 When art has a didactic political meaning becomes vulgar. There are many vulgar artists, but artists in any case. I don’t think art should be from the right or from the left. I don’t even think this political dichotomy makes sense in the XXI century. But I do believe in the social dimension of art and in the artist’s obligation to put hidden things on top of the table. Widewalls: In your art you often blur the line between the private and the public, or to be more precise, between your private life and public events. Why do you believe it is important to make that bridge between the public and the private (or perhaps you believe private is also public)? JMC: Privacy is a concept that is progressively becoming from the past. To compensate the loos of privacy, our society has become more permissive in its social, moral and ethical standards. Internet is the Protestant revolution of the 21st century. A certain level of personal and legal protection requires the loss of anonymity. Anonymity has always been anti-establishment. In the past this had a positive effect because the systems were difficult to shake, as the media was easy to control. Unlike today, new technologies make the anti establishment thinking a new establishment with the capacity to even wield political power. What do we know about tomorrow’s society? Not much. It even may collapse. We know that music and movies are worse already. And we know that the Chinese are more powerful than the Americans because they control the Internet in their country. And not much more … We know that we are heading a different socio-political era. We have no idea on how the hell of how things are going to be. But basically it depends on whether anonymity wins the battle to what we call civilization. When I was a kid we lived an apocalyptic mentality because of the threat of nuclear disaster within the Cold War. We are entering a similar period and I am not referring to ISIS. An amorphous son of the Internet is about to be born and we have no idea of how it will look like. Widewalls: Do you consider your art to be political? Is contemporary art inherently related to the politics? JMC: I understand that my work is abstractly political. It reproduces political forms in an informal way but it does not instruct and has a relevant visual dimension. Its not possible for my work to be political in the usual sense of the word as I am not. Politics in the Western World have developed abundant vulgarities and I do not wish to participate of them. I think the anonymous cybernetic anti-establishment, a powerful establishment nowadays, is bringing new but even less sophisticated perversities to the political billiard. In addition, political correctness in recent years has made it mandatory for the artist to show off a left-wing activist role. The art market is an overcompensating paradox where the artist has an obligation to manifest himself a devote left-winger to get the money from the right-wingers. And conservative collectors, who only surround themselves of conservative people and want everyone to be conservative, will get peace of mind if they know that the artists they collect from are confirmed socialists. Widewalls: Would you describe yourself as a conceptual artist? Or you believe conceptual art simply overlaid all other forms of art and that being labeled as conceptual artist is a mere simplification? JMC: I do not believe in ideas but I do believe in observation. Conceptual art is mostly adapting words to facts. 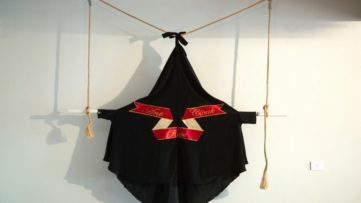 The artists’ produces an object that has not occurred to date and it works visually or provokes. Then he repeats it over and over to make it look like a mean of expression, a language. This simple recipe has generated a stream of followers, in the twentieth century, which has led to contemporary art to its current status. Conceptual art has a certain interest when rushing essential concerns of human beings and I think it’s vulgar when it is literary and didactically political. I believe in expressionism, not as a pictorial movement but as motivation for the artist. I am skeptic about art students that become artists, or artists that become art students. I was fortunate not to study fine art but throughout my childhood, after school I went everyday to a drawing academy to prepare for a career in architecture. I think that drawing made me fixate with the timeless and essential form of the tradition of art and taught me to observe. The twentieth century denies manual ability and decides that art is anything but what until then understood by art. We shouldn’t be surprised that the XXI century renegades from this and decides that art is anything but what the twentieth century understood by art. The current commercial success of Lucien Freud and Bacon would be good example of this assertion. Widewalls: How do you choose the medium you work with? Sometimes your works are created with what appears to be a “simple” technique (i.e. black lines on a white background), while other times it’s far more “complex”. Does that depend on your subject? I would not say that the technique I use depends on the subject, but I would say that the subject that comes to happen in my paintings depends on the technique. It would be miserable to ignore that when I start mixing the wax with pigments before I start painting; that wax is not less the sum of the work of thousands of constructive and skilled living beings. Bees are the zenith of the life cycle and the universes capacity of building itself with unstoppable effort. Widewalls: Finally, could you tell us about your future plans and projects? What can we expect from you in the near future? JMC: If you are asking what my next exhibition, it is a retrospective at the CAFA Art Museum in Beijing. I am working together with Wang Huangsheng to try to summarize my work and make sense of it with the peculiar moment in the current Chinese society. The exhibition occupies two floors in the museum with over more than 250 pieces. 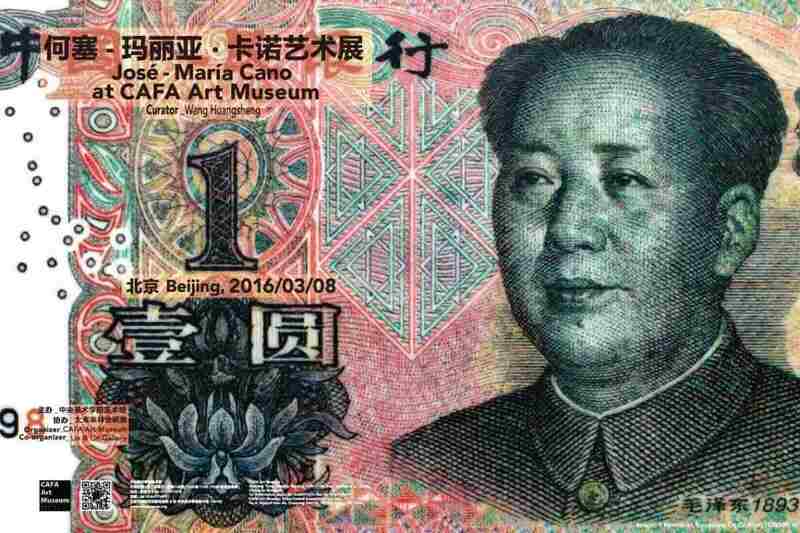 Then I have an exhibition in Taiwan from my series of banknotes with Lin & Lin, my gallery for Asia. If you ask me what I am going to paint, I have no idea. I’m not even curious, just excited; but the moon the bees and resin trees will make me know at the right time. 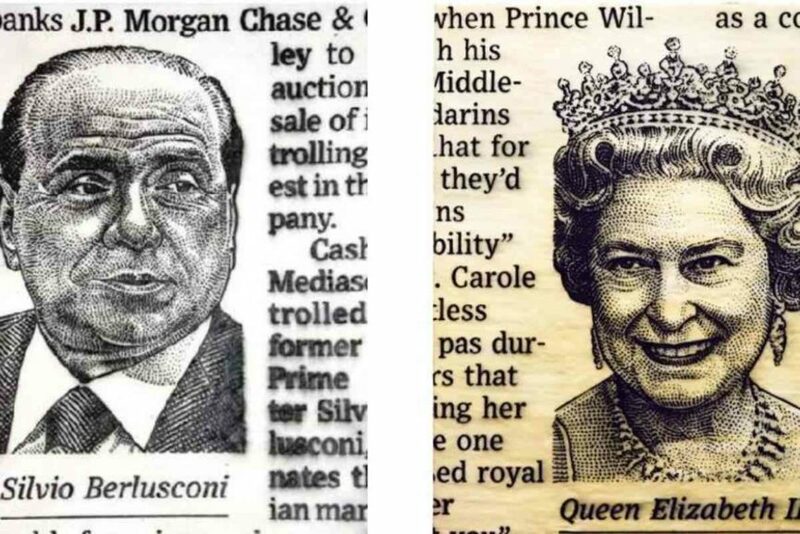 Featured Images: Jose Maria Cano; Jose Maria Cano Paintings (courtesy of gg-art.com); Jose Maria Cano Exhibition at CAFA Art Museum; Jose Maria Cano (courtesy of alchetron.com); Jose Maria Cano – Silvio Berlusconi, 2007 and on the left Queen Elizabeth II, 2008. All Images used for illustrative purposes only.